Crazy Vegas Mobile Casino :: Bush Telegraph mobile slot game – PLAY NOW! 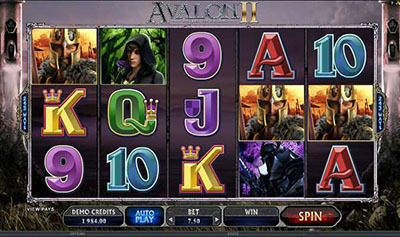 (August 08, 2014 :: Press release) – Online games – Bush Telegraph, Mystic Dreams and Silver Fang will be joining the Crazy Vegas Mobile Casino family from the 6th August 2014, adding to the Mobile Casino’s already immaculate reputation. By creating these games in HTML format, players will be able to play these and many other great games via their mobile devices, which makes on-the-go entertainment a possibility. Whether players are waiting for their mode of transport to arrive or grabbing a bite at a restaurant, they will be able to whip out any one of their mobile devices and start enjoying their favourite games. Of course, there is also the opportunity to claim some great Bonuses while playing, which can lead to some fantastic cash payouts. Crazy Vegas Mobile Casino :: Mystic Dreams mobile slot game – PLAY NOW! Here’s what to look forward to when playing each of these three unique games: Bush Telegraph is centered on the Australian means of communication used by those who populate areas of dense vegetation. If players are looking to rough-it in the Australian outback and go on a splendid adventure, then this is a great game to consider. In contrast, Mystic Dreams will take players back in time to the Indian tribes in Canada, where Dream Catchers and many other traditions will be explored through the games crystal clear images displayed on the reels. And last but not least, Silver Fang is the favourite for those who have always had a fascination for wolves and their way of life. They will take players on adventures they can only dream of and up to mountain peaks where the faint-hearted should never tread. Crazy Vegas Mobile Casino :: Silver Fang mobile slot game – PLAY NOW! Crazy Vegas Mobile Casino always has something to offer all players and they’re giving their new players a Welcome Bonus of $/€/£500 Free! On a first deposit they’ll get $/€/£150 Free, on a second deposit they’ll get $/€/£200 Free and on a third deposit they’ll get another $/€/£150 Free! Whilst players get the Welcome Bonus, there are also many other great games on offer and each one has their very own surprise Bonuses, such as Free Spins. All games at both Crazy Vegas Online Casino and their Mobile Casino are powered by Microgaming™, which means the gaming graphics are superb and the general experience is hassle free in so far as the technicalities. 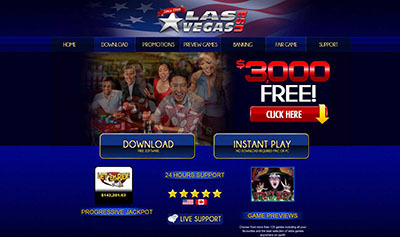 Crazy Vegas Mobile Casino also offer 24/7 online advice for all who need assistance.